Heads up! The U.S. economy is set to print its preliminary GDP reading tomorrow and markets might be in for a surprise. Business investment and equipment spending are foreseen to be revised lower for the first quarter of 2014 while public and private construction spending could also see downgrades. On the other hand, residential spending and retail sales data might be upgraded, but it remains to be seen whether the positive revisions could make up for the negative ones. 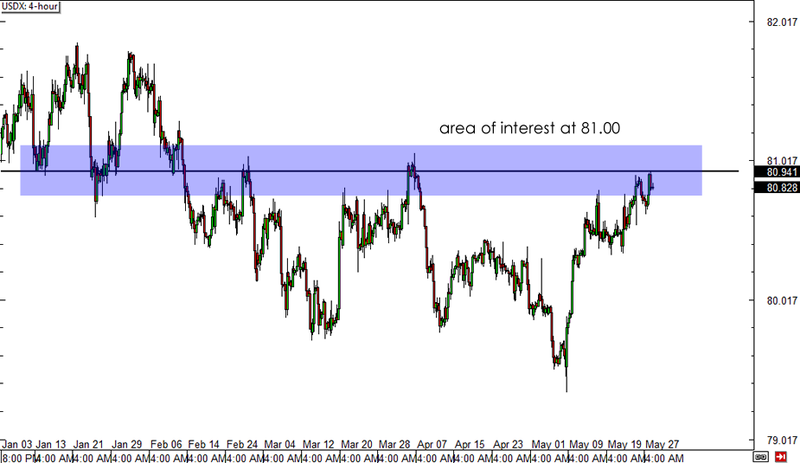 As you can see from the 4-hour chart of USDX, the currency is stalling at an area of interest around the 81.00 mark. A larger economic contraction could lead to a massive selloff for the dollar while the lack of downward revisions could lead to a relief rally. In the unlikely event of an upward revision to the growth figure, USDX might break above the 81.00 level and lead to dollar gains across the board. How are you planning to play the U.S. preliminary GDP release? Share your thoughts in our comment box or cast your votes in our poll below!